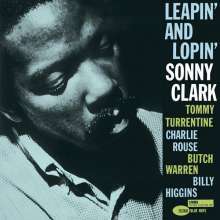 Der Artikel Sonny Clark (1931-1963): Leapin' And Lopin' (Rudy Van Gelder Remasters) wurde in den Warenkorb gelegt. 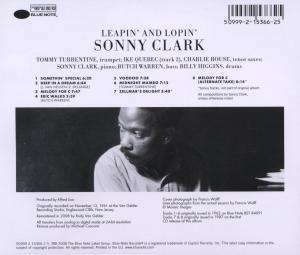 + Tommy Turrentine, Ike Quebec, Billy Higgins u.a. This November 13, 1961 session ranges from the modal “Melody in C” to the soulful blues “Somethin' Special”. The renowned rhythm section of Clark, Butch Warren, and Billy Higgins supports Tommy Turrentine and Charlie Rouse magnificently. Ike Quebec guests on the magnificent ballad “Deep in a Dream.” Additional tunes from the session and an alternate take are added to this Rudy Van Gelder remaster.